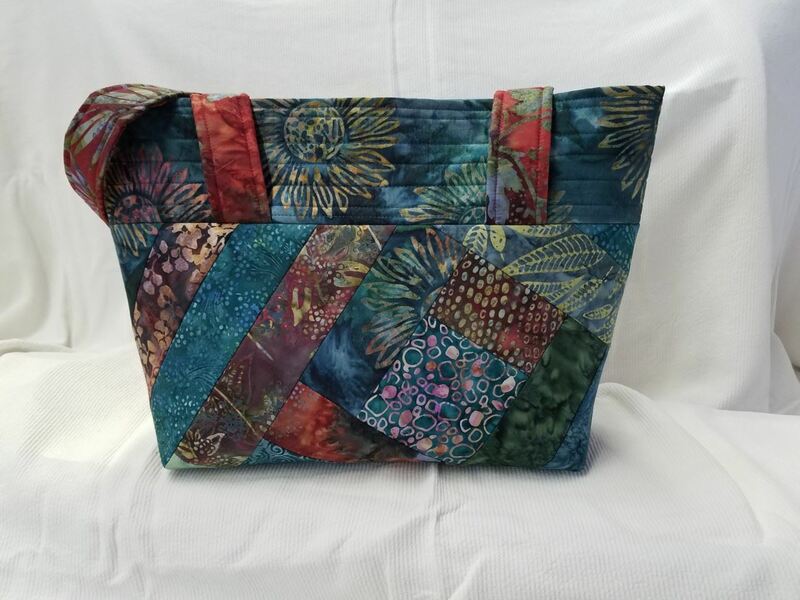 This class will teach the fun “quilt-as-you-go” method of quilting and result in a beautiful, functional bag, with either self-fabric or webbing straps. This tote may be used as a purse or shopping tote, depending on size made. Makes a great gift! Sewing machines and necessary tools are provided. Magnetic closures, interfacing, and fleece/stabilizing foam will be provided by instructor. Kits will be provided at an additional cost, and will include coordinating 100% cotton premium quilt shop quality fabric or home decorating canvas, thread, lining, interfacing, foam stabilizer. Students may provide their own materials, if desired (jelly rolls are great for this project. Please email instructor to purchase kit or get fabric requirements. Email address will be provided on registration confirmation. NOTE: Students must be able to sew without assistance; this is not a beginning sewing class. Recommended age range: At least 16 years old (if competent with a sewing machine) or 12-16 years old with a parent also taking the class.